Preview:FC Platinum to maintain top spot? Dynamos in desperate times! FC Platinum will get a chance this afternoon to seal top spot for another week when they face troubled new boys Border Strikers. Border Strikers are finding the going tough in the elite top flight league as they are yet to pick a point this season in their first 5 matches of the season. 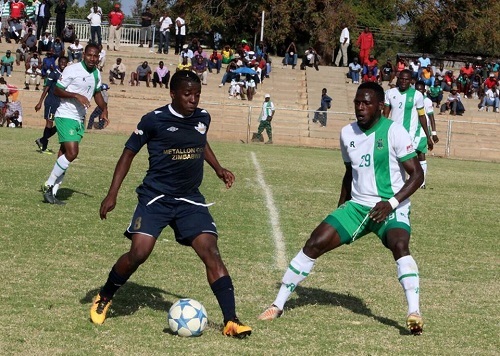 The Beitbridge side who ironically have adopted FC Platinum’s Mandava as their home base since their Dulivhadzimu Stadium has not been approved to play league matches will have to pull a miracle if they entertain hopes of coming out with any result. FC Platinum are easily the best team in the Premier League at the moment having gone for over a year without tasting defeat. They lead the league ahead of Highlanders by three points having amassed 16 points in their first 5 matches. The Kugona Kunenge Kudada outfit are the only team to taste defeat this season. In Bulawayo, Tsholotsho will play host to ailing Harare giants Dynamos in what is expected to be a thrilling encounter. Dynamos are sitting in unfamiliar position second from the bottom only above Border strikers. Tsholotsho playing only in their second season have proven to be a good side. Last season they drew both rounds of their matches against Dynamos. Dynamos will be under immerse pressure to win in order to get their campaign back on tack and appease their ever demanding fans. In Harare, Caps United having a season of a life will host ZPC Kariba at Rufaro Stadium. The green machine currently sit on position three on the latest log standings tied on points with Highlanders on 13 points just 3 points behind log leaders FC Platinum. The matches involving the two teams have in the past produced delightful matches and today’s match is sure to produce the same delight. Caps United under Lloyd Chitembwe have exhibited some great play and have already claimed the scalp of their biggest rivals Dynamos. Kariba under legendary coach Sunday Chidzambwa are also doing great and the clash between the two teams separated by just 2 points will set fireworks. The last match this Saturday afternoon will pit Chapungu hosting new boys Ngezi Platinum at Ascot Stadium.